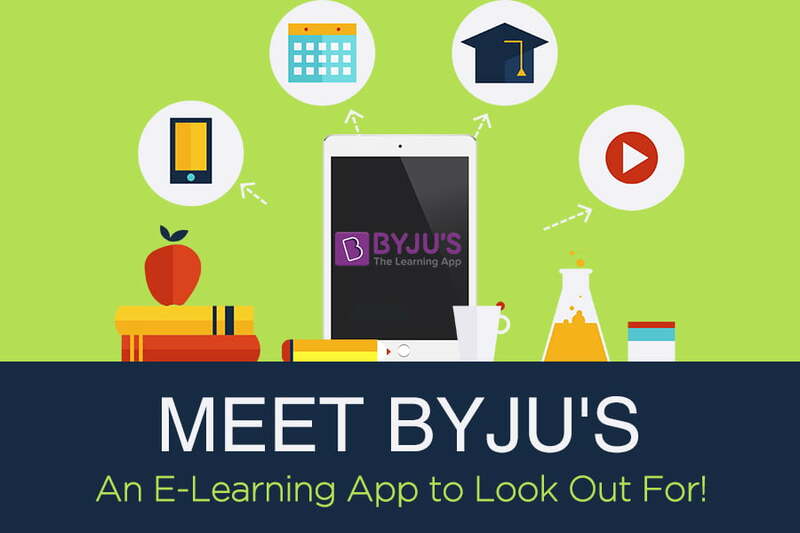 Meet BYJU’s – An E-Learning App to Look Out For! Byju Raveendran grew up in Azhikode, a small village in Kerala, on a steady diet of sports. Little did he know that one day, he would become the face of education technology in India, pioneering the biggest, and probably, best-known learning brand in the country. Amazingly, Byju’s brand was born by chance. In 2003, Raveendran took a break from his job as an engineer, overseas, and returned to India for two months. It was a time when many of his friends were preparing for the Common Admission Test (CAT), the Indian equivalent of the GMAT, and Raveendran decided to lend a helping hand. He took the test along with his friends, and aced it, securing 100 percentile. Following this, Raveendran started taking informal lessons, to help friends preparing for the test. In 2005, he took the CAT again, and delivered an encore performance, scoring 100 percentile. But instead of clinching a coveted seat in one of India’s leading management institutes, he decided to turn his love for teaching into a business. And Byju’s was born. In 2011, Byju’s began designing core learning modules, an exercise that took nearly four years to complete. Raveendran knew that the method had to be engaging and interactive, and he made the tutorials rich in graphic content. He conceptualised an adaptive online learning software by using visualisation techniques. He made sure that the video formats delved into the depths of a subject without making it boring. In recent years, Byju’s has tweaked its content distribution strategy. The brand’s stratagem has been largely focused on mobile mindshare. And in a country where smartphone multiplication has been rapid, technology has been a massive catalyst for the brand’s growth. The biggest trump card that Byju’s brandishes is the fact that its model is personalised. Having established a foothold amongst more than 1,400 mobile users across India, the app draws usage patterns from individual students, assessing their learning behaviour. By assimilating visual and concept themes in their app, Byju’s cleverly augments engagement time. Today , BYJU’s is India’s largest education technology company, offering supplementary classes for children between grades 6 and 12. In addition, it also features preparatory modules for several Indian exams like CAT, JEE and IAS, and international exams like GMAT and GRE. Having handpicked the best teachers in the country, and copyrighted their novel techniques, the platform has set an unprecedented trend in Indian education. The big question is, how does it make money? Byju’s is based on a freemium model, where its content can be consumed freely, without any charge. When students get hooked to the app, and begin using it to learn, parents tend to opt for an annual subscription, to sustain the knowledge consumption. Byju’s go-to-market strategy has been lauded for its scalability, allowing the brand to easily expand in English-speaking markets outside India. Its marketing vehicles have included television, print and hoardings. The Byju’s platform is supported by three frameworks: Ruby on Rails, Selenium and Appium. A PostgreSQL database sits on top of the framework base, and is compounded by an Integrated Development Environment (IDE) called Unity3D. Byju’s isn’t alone in the Indian ed tech space. It has been followed by a host of new entrants, all hungry to claim their stake in the emerging sector. Bangalore-based Plastic Water Labs, for instance, has a different take on learning. The brand intends to address the problem of poor comprehension in India’s education sector, and is working on a Virtual Reality app that will place students in an immersive, multi-sensory learning environment that will enable spatial thinking. Lessons will be conducted through Android smartphones that can be toggled to a VR setting through Google cardboard. The offering will work on an annual subscription model. Another new player, Entri, provides a plug-and-play platform on a cloud, for coaching institutes, teachers and students. The app tracks a student’s performance, measuring strengths and weaknesses, and displays it in a format akin to Google Analytics. The app hosts a bank of 30,000 preparation questions, formulae and other material, and provides a forum for students to seek advice, clarifications and help from subject matter experts. The app charges Rs. 2,000 per annum per student. Yet another company, Katalyst Eduserve, has been founded to fully uncover a student’s true potential. The company conducts credit-based education through an online course software, to channel a child’s competencies in the right direction. Its customised offerings range between Rs. 100 and Rs. 6,000 and include an assortment of services such as academic comparison, personal counselling, parent and teach interaction and engagement of a personal trainer. Vedantu , a live tutoring platform, is squaring in on students who don’t have time to go for tutorials and coaching classes. When the brand launched, its primary goal was to create awareness about its category and not necessarily the brand per se. Live tutorials weren’t a known concept, and parents needed to be educated about them. Other than radio spots, Vedantu’s above-the-line strategies have primarily been online. Through social media advertising, search engine optimisation and collaborations with publishers such as Yahoo and Google, they have acquainted Indians with virtual classroom software. They claim that 8 out of 10 Bangalore residents now know what Vedantu provides. Education technology has immense potential for young, ambitious entrepreneurs. It is a new-age sector with infinite opportunities. And the best part is, it is a sector just about anybody with a credible idea can enter. Once you have decided on your business model and monetisation strategy, your next step would usually be setting up your technology. Although you could set up your technology the traditional way, by hiring a team, training them and then moving on to development, there’s a better way you could go about it. Pinlearn is a turnkey framework that allows you to set up an education technology platform in just a few days, and at about one-hundredth the launch cost. The platform is widely used by ed tech companies, and is a superior alternative to in-house development or other readymade technologies. Its spectrum of features coupled with its responsive design give you a premium experience, whether you’re looking to start your own tutorial website, or an online teaching and learning marketplace. Pinlearn’s live teaching marketplace has been designed using multiple layers, including Laravel 5.3 (PHP), Agular JS 1, Mysql, Redis cache, NGINX web server, SSL, JQuery and Bootstrap. Pinlearn will also employ the WebRTC TURN server for its live streaming feature, Nginx RTMP for video streaming and NodeJS for real time chat messages. With the varied opportunities in education, there are more than enough ideas to go around. When you pick yours, think of Pinlearn. There’s never been an easier way to get started.